New Suhr Classic Pro Metallic Guitars Coming Soon! The same great vintage style Suhr guitars now in a new Limited Production array of dazzling colors! Take a look at the new Suhr Classic Pro Metallic guitars! These stellar guitars have all the great modern appointments and build quality we have come to expect from Suhr, but with amazing vintage tone! The Suhr Classic Pro Metallics feature Suhr V70 Pickups and will be available in 5 new colors with two pickup arrangements including SSS and HSS models! New Suhr Modern Custom Guitar in Stock! Just take a look at this gorgeous Suhr Modern Custom Buckeye Burl guitar! This beauty has a ton of stunning appointments the most noticeable being its the Buckeye Burl top! This top is incredibly figured and finished with a natural high gloss ultra thin lacquer which allows for the innate beauty to shine through. It has a Cocobolo modern shaped neck with Macassar Ebony Fingerboard, Cocobolo knobs and switch tip and a Black Limba body all together making this guitar unique and a thrill to play. So be sure to give it a gander and take a look at the rest of our unique collection of Custom Suhr guitars! New Nash T-57 in Surf Green Just Arrived! It’s no secret that Humbucker Music is a huge fan of Nash Guitars and any time we get a gem in stock we love to share it! Take a look at this wonderful T-57 in Surf Green that we just received in stock. There is definitely something special about this guitar. It might be the super smooth maple neck, maybe the soft inviting finish, or the killer tone emanating from the combination of the Lollar Handwound and a Swamp Ash body, either way this is a stellar Tele guitar! Dr. Z Z-Drive Pedals In Stock Now! Humbucker Music now has plenty of Dr. Z Z-Drive Pedals in stock! These amazing Overdrive Pedals have two channels in one pedal. Both channels have plenty of punch and are somewhat similar in tone. However, with most Germanium circuits there is always the draw back of heat exposure. Which is why this pedal has both Germanium and Mosfet overdrive circuits. They share a 3-Band EQ with independent Drive, Level and Cut Switch controls. Everyone has room on their board for this pedal! New Nash S-57 in 3 Tone Burst, In stock now! As you may know Humbucker Music is a huge fan of Nash Guitars and we have hundreds coming in every year! This new S-57 in 3 Tone Sun Burst is a stellar guitar with a super fast playing all Maple neck. It’s loaded with Lollar Handwound Dirty Blonde SSS pickups and has great medium distressed finish that really gives this guitar some life! Take a look, but don’t forget to check out all the Nash Teles that we have in stock! Every Nash we carry has a character of its own! New Vintage Sound Amps in Stock! 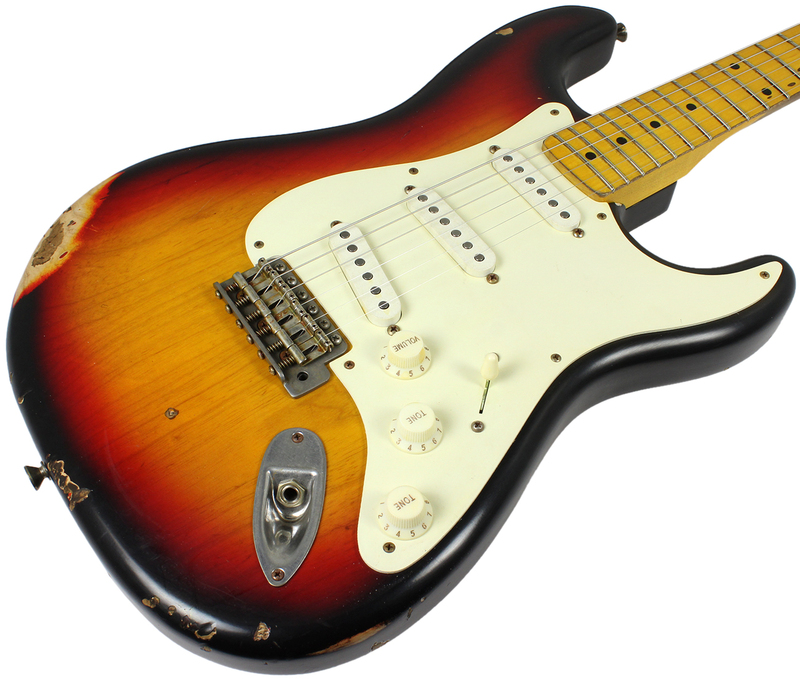 Vintage Sound has just arrived at Humbucker Music! We have new Heads & Cabs in Wine Taurus and Black & Silver, as well as, a snazzy new Brown Western design for our small combos, aka the 22sc, Vintage 15, and Vintage 20! Of course we have plenty of our standard Vintage Sound models in stock too. So be sure to check out our New Arrivals page to see the extensive stock we have now! Loads of new Suhr Guitars in Stock Now! 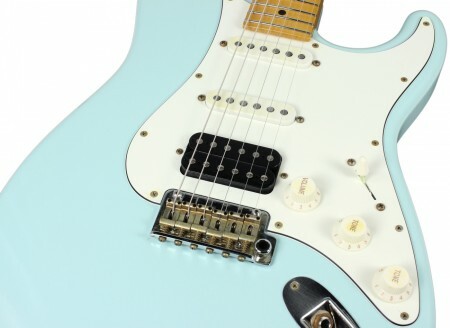 Humbucker Music just received a huge shipment of Suhr Guitars in stock! We now have 8 new guitars in stock from Suhr Classic Pros, to Classic Antiques and a Pro Classic T in Trans White with a SSV Humbucker in the Neck position! These guitars have a great vintage look with all the great modern appointments like noiseless pickups, stainless steel frets with a modern radius and a perfect, fast playing neck!